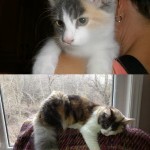 Annie shown in the top picture when she came to Fixed Fur Life a a stray kitten. We recently received this update and are so happy to see how happy she is in her new home! 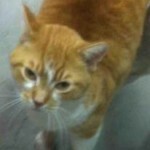 Pumpkin who was the result of a relationship breakup was adopted today! 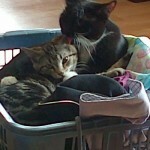 Chloe in her new home being groomed by her new brother Mossimo! 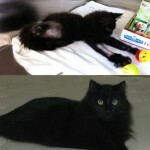 Shadow came to Fixed Fur Life as a 16 week old kitten with an injured leg. The leg had to be amputated due to extensive damage. Shown in the bottom picture in his new home. He is the apple of Mari and Peters eye. Thanks for the update. Charlie was rescued from Tweed after he was abandoned. From his frightened and skittish demeanor it looks as though he had been abused. Very fearful of men. 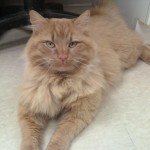 He is being Neutered and adopted today. Thanks Ann for giving this guy the home and time he needs! Molly an 8 week old kitten found abandoned in a Wal Mart parking lot. We received this update today from her new family. It didn't take her long to get adjusted to our home, she walked in & immediately started checking everything & everyone out. No shyness what-so-ever. Molly warmed up to Willow (our other kitty) right away. Update on Atrias. 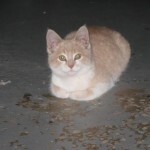 Atrias was an abandoned kitten who came to Fixed Fur Life for bottle feeding. Adopted a few years ago from FFL. (Shown in top picture). We received the update a few days ago showing how well she is still doing! Thanks for the update Peter! Emma another un Spayed stray was taken in by Fixed Fur Life. Spayed and vaccinated and went off to her new home today. Thank you Belleville Global pet Foods for hosting her! 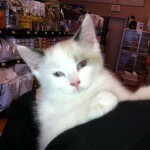 Molly an 8 week old kitten found in the Wal Mart parking lot has been adopted! Thank you Trenton Pet Valu for hosting her! Missy an abandoned stray came to us with a tail that had been traumatically amputated. Spayed by Fixed Fur Life she has been adopted! Thank you Trenton Pet Valu for hosting her! Skooter adopted from FFL was born a Hermaphrodite and required extensive surgery. 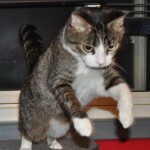 Shown here in her new home on her invisible bicycle. Update sent today Just thought I would share this updated photo of Skooter with you. She is jumping off her new cat cloud we put in our bedroom for her. Thanks FFL for such an awesome best friend. 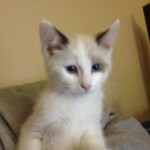 Blondie a stray little girl was Spayed by FFL; and as a result was adopted! 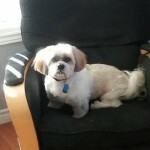 Teddy's owner had to go into a nursing home. We received this update re how wonderful he is doing in his new home! 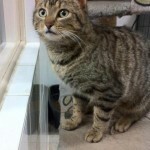 Todd a stray taken in by FFL was taken in Neutered, vaccinated etc went to his new home today! 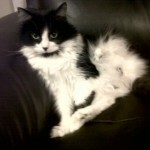 Kourtni was found under a deck very dehydrated,skinny and hungry. She required veterinary care to re hydrate her and assess her condition. She was scanned and a microchip was found. She went missing over a year ago. 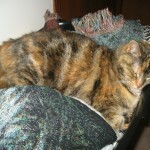 Her owners were contacted and they stated they were no longer able to afford the care of a cat. 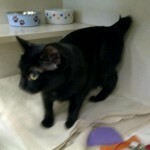 She has been Spayed and vaccinated and is ready to settle into a new home. 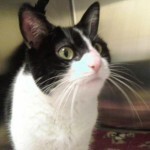 Kourtni has now been adopted and will be sharing a quiet indoor home with her new mommy! 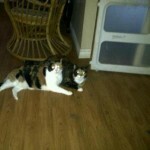 Emma and Felicia were adopted from Fixed Fur Life many years ago as 2 abandoned kitties. 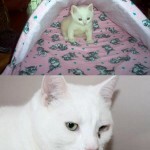 Their adoptive mother has given them a tremendous amount of love and understanding over the years. We received this update today and so glad to see they are both doing so well!! 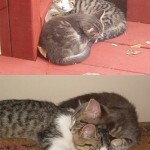 Hazel and Mizzy were 2 of 14 cats who were stuffed into carriers and left by the side of the road. 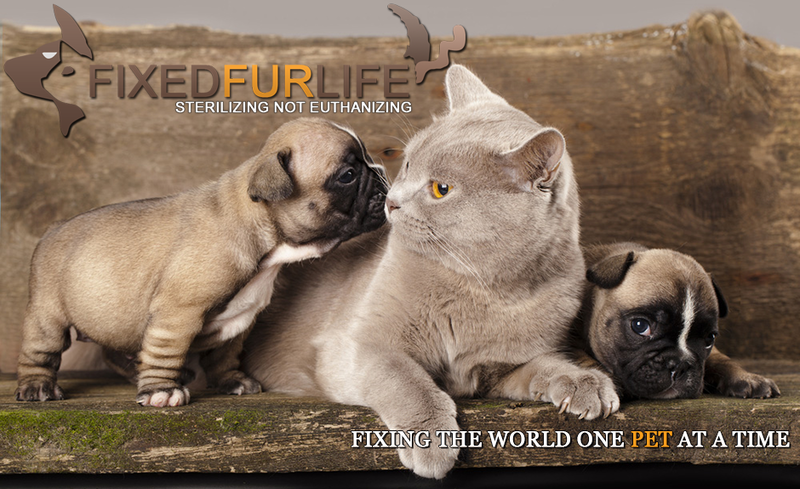 All were fixed and adopted out by Fixed Fur Life. 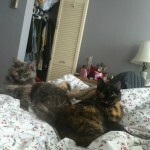 Hazel and Mizzy were adopted together and we received this update today to show how well they have adapted to their new home. Mango was outside in sub zero temperatures crying to come in. She had been hanging around for over a month. Zero Identification,zero microchip and no one had reported her missing. 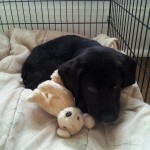 After 4 weeks of looking for an owner she placed up for adoption and is shown here in her new home. She is happy, Spayed and doing well in her new environment. Kitten Alumni were all adopted. Spayed and neutered!